So as with all zonal exercise let the speed and range of the movement be dictated by the length of your inhalation and exhalation. 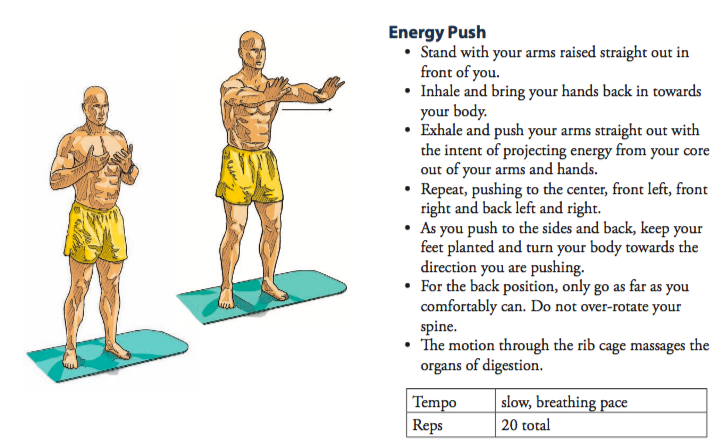 If you find your shoulders fatiguing a bit during the exercise then try to lower and relax them, or you could reduce the range of how far you “push” your hands out. Also, when you push out to the left and the right don’t overly twist your body so that you overly exert torsion on the spine. 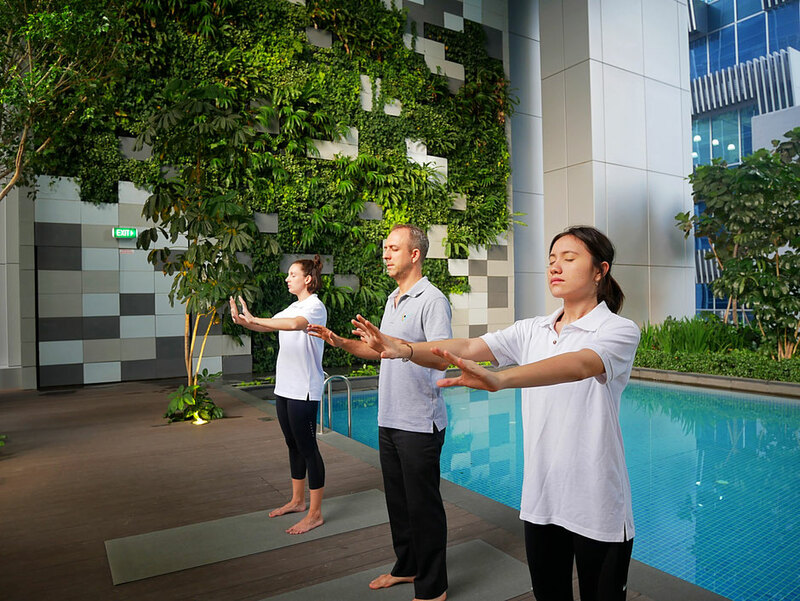 At 6pm every day the Levitise team head down to our pool at the SBF Centre to perform a couple of zonal exercises. This is a super way to unwind any tightness that might have built up during the day and to relax the mind before going home. This week we did the Qi Gong Energy Push and the Wood Chop (another variant Qi Gong exercise) and apart from a few strange looks we really enjoyed them and felt super relaxed, calm and stress free afterwards. Check us out in the picture below. So, that is it for part three in this six part series and the Qi Gong Energy Push which is great for helping you with digestive problems, allergies and diabetes. Next week we’ll be taking a look at zone four which mostly covers the upper torso and the heart, lungs, circulation and breathing. If you like this series then please sign up for our newsletter here to get the next three delivered right to your inbox.